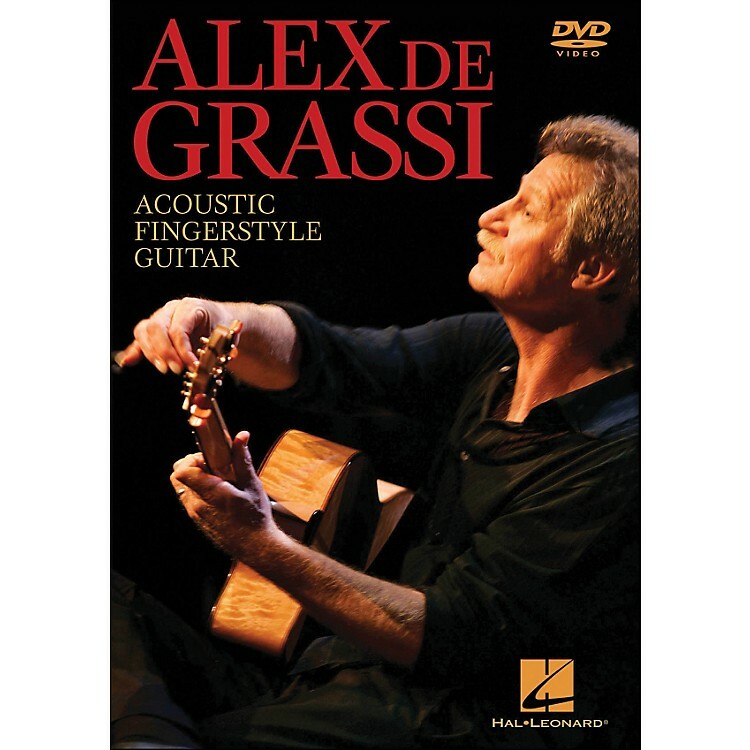 Often cited as one of the world's top fingerstyle, steel-string guitarists, Grammy nominee Alex de Grassi brings a unique voice to the art of acoustic guitar with his evocative compositions and arrangements, a highly orchestrated sound, and sheer virtuosity. This DVD features a dozen lessons on acoustic guitar tone and technique, taught by a fingerstyle master. Topics covered include: accents, cross string picking, dynamics, glissandos and slides, hammer-ons and pull-offs, polyrhythms and cross rhythms, string stopping, timbre, tone production, vibrato and pitch modulation. 1 hr., 40 min.